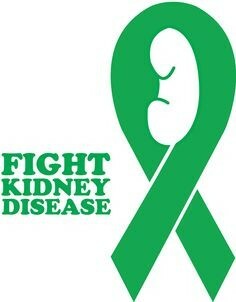 ESRD is when the kidneys stop working well enough for you to live without dialysis or a transplant. This kind of kidney failure is permanent. It cannot be fixed. Most cases of ESRD are caused by diabetes or high blood pressure. Some problems you are born with, some reactions to medicines, and some injuries can also cause ESRD. If you have ESRD, you will need dialysis or a kidney transplant to live. In the event of declining renal function, the products of protein metabolism end up gathering in the blood inside of the urine because of the demise of the nephrons. Uremia will develop in the blood and will ultimately affect each and every body system. If the waste continues to gather and grow, the signs will be more severe. 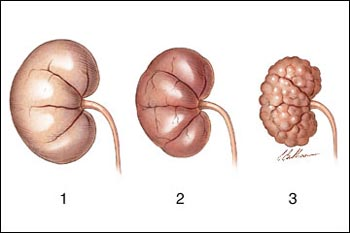 The specific declining rate of the kidneys has to do with the underlying reason of disorder and declines more quickly in people with large amounts of protein and with hypertension. 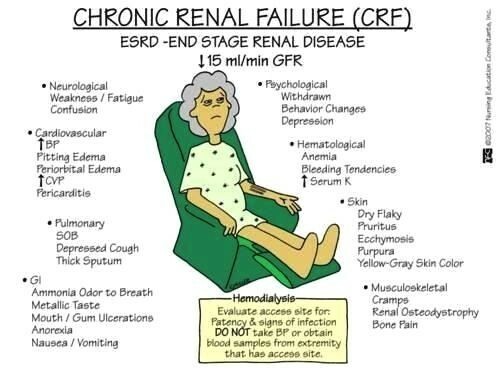 Risk factors for end-stage renal disease ESRD include age, race, gender, smoking, diabetes, education, weight, proteinuria, nocturia, genetics and recreational drugs. Risk for ESRD increases with age and men are more likely than women to develop it. African-Americans are also at a higher risk along with people that are not educated about this disease. Those that are overweight may also have an increase risk. Genetic factors have been identified which either increasing the risk of or quickening the progression of the disease. For people who smoke, smoking had been linked to the progression of renal disease also those with diabetes. Those that use recreational drugs such as opiates and cocaine have been linked to increase the likelihood of getting this disease along with overuse of over-the-counter pain medicine. Noturia applies to the people that frequently get up during the night to urinate which may increase your risk for developing ERSD. ESRD cannot be cured, but treatment may be hepful. 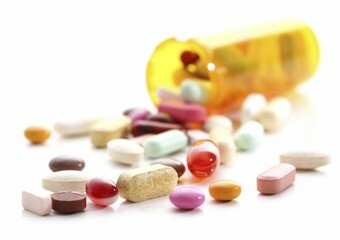 Medications help manage symptoms. In later stages, filtering the blood with a machine (dialysis) or a transplant may be needed. "water pills". Some diuretic medications are Furosemide (Lasix) and Bumetanide (Bumex). Self-treatment may include eating a low protein diet, and getting an adequate amount of iron and calcium carbonate. 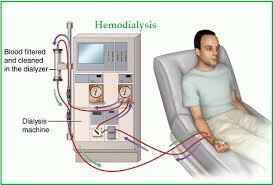 One specific treatment choice is hemodialysis. Hemodialysis is a procedure that cleans and filters your blood. It rids your body of harmful wastes and extra salt and fluids. It also controls blood pressure and helps your body keep the proper balance of chemicals such as potassium, sodium, and chloride. Another treatment choice is Peritoneal Dialysis. 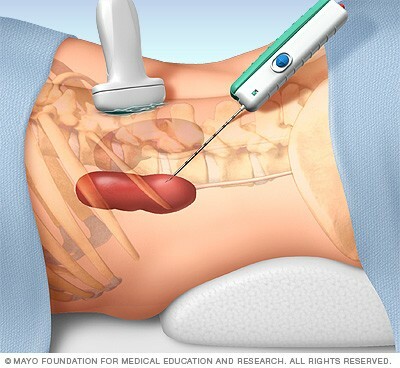 Peritoneal dialysis is another procedure that replaces the work of your kidneys. It removes extra water, wastes, and chemicals from your body. This type of dialysis uses the lining of your abdomen to filter your blood. This lining is called the peritoneal membrane. 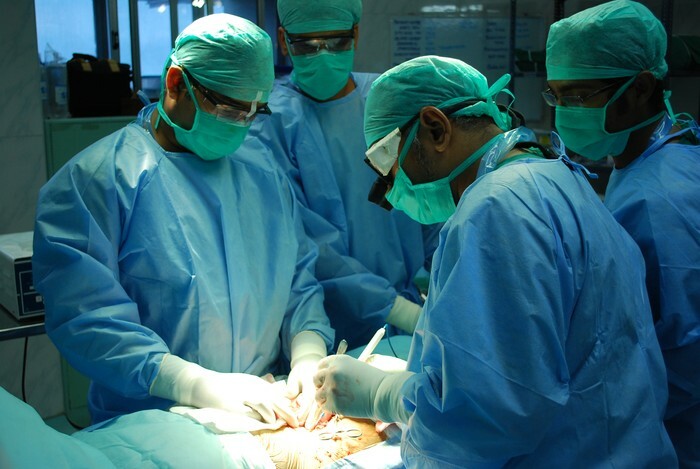 A kidney transplantation is another treatment option available. Kidney transplantation is a procedure that places a healthy kidney from another person into your body. 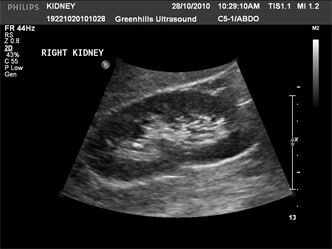 This one new kidney does all the work that your two failed kidneys cannot do. Clinical manifestations of ESRD include a decrease in urination, inability to urinate at all, fatigue, headaches, unexplained weight loss, loss of appetite, nausea or vomiting, confusion, difficulty concentrating, dry or itchy skin, changes in the color of a person skin, bone pain, easily bruising, frequent nosebleeds, excessive thirst (dehydration), no menstruation, sleep apnea, swelling and edema in legs and hands, possible seizures, and numbness in hands or feet. The symptoms for acute and chronic renal failure may be different. The following are the most common symptoms of acute and chronic renal failure. However, each individual may experience symptoms differently.